After enough wear and tear, almost any extension cord is going to need some attention. Quite often, failure at the connectors leads to the cable being discarded and replaced. By using high quality after market replacement connectors, the life of a good extension cord can be extended for years. We offer a line of high quality grounded Edison connectors that can be used to replace damaged or worn connectors. It is an easy task )just search on YouTube) and you can save lots of money. Top line tenting companies know that attention to detail is what sets them apart from the competition. Spending money on a specialized item like white extension cords to blend in with white tents is a big expense, and long term life is important. Unfortunately, the white jackets on these cables are subject to scuffing and dirt. Keeping them clean is important and can extend their lives. Normally, most dirt can be cleaned off with mild soap, warm water and a clean rag. The sooner the dirt is removed, the easier it will come off and the less like it will be that the jacket will be permanently stained. Storing cables when they are wet can cause mold to develop on the cables. Again, soap and water will usually get the job done, but additional care must be taken when handling anything that involves mold. Tougher stains require some sort of solvent. We recommend Cami Citrus Adhesive Remover. Nobody who cares about their tools leaves them outside when they are not in use. 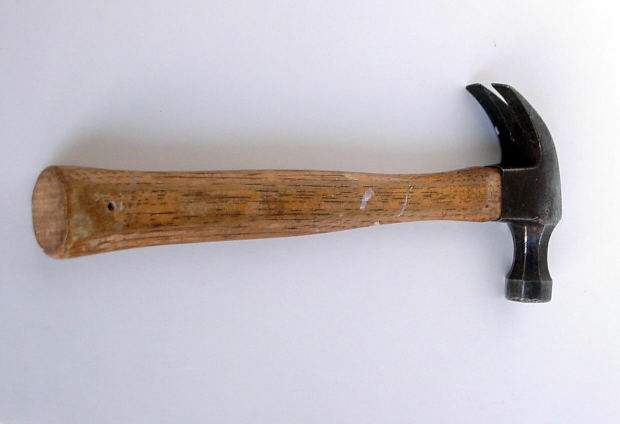 Damage from moisture and sunlight can quickly degrade the condition of a tool, and what could have been a lifetime purchase turns out to be something that needs replacing over and over if it is not cared for properly. Extension cords deserve the same consideration as your most prized tools, and if they are thought of that way, you can get a lifetime of use out of them. Exposure to moisture can lead to corrosion, which can limit current carrying capacity. Long term exposure to sunlight can cause cable jackets to become brittle and more prone to create shock hazards. The jackets on our Century Wire extension cords are specially formulated to be flexible and easy to coil, even in temperatures below freezing. During the fall special event season, it is not unusual to find yourself striking after a tent party or outdoor event when the temperature has cooled dramatically from the day before. 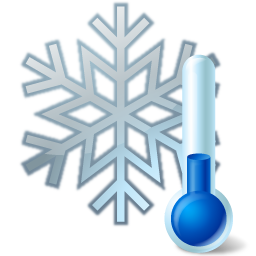 Be sure to choose cables with jackets that won’t become stiff or brittle if they are exposed to low temperatures. Replacing an extension cord connector is an easy “do it yourself” task, requiring only a screw driver, some wire cutters and a blade to trim off some insulation. 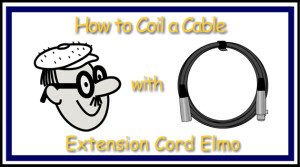 It is an easy way to make an extension cord as good as new at a much lower cost than complete replacement. Getting the correct wire on the correct connector post is critical to safety, and if you are not sure which is which, then you should not attempt this repair. Most extension cord repairs (the good ones, anyway) involve a three conductor cable and a three terminal connector. Your individual wires, after the outside jacket is trimmed back, should be black (or red), white and green. If you look at the terminals on the replacement connector, one will have a brass (gold) colored screw, one screw will be nickel (silver) and the final one will be green. Assure that no strands of any conductor can touch other terminals and be sure that none of the strands of any conductor are exposed once the conductor cap is installed. The point of failure on most extension cords is where the connectors meet the cable body. This is where a cable flexs, where it is pulled from an outlet and where it sees the most handling. Inexpensive cables skrimp on the material used in the strain relief and once the connector begins to separate from the cable body, it can’t be fixed. Connector or even total cable replacement is required. The extra large molded strain relief found on every cable from Century Wire insures that this will not become a failure point, even after years of serious use. 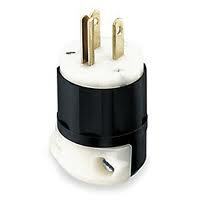 The third (U shaped) pin on quality extension cords and most appliances is the “ground” pin. It is critical to understanding how to safely use the cord. 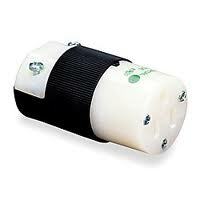 The ground pin, when used with properly wired electrical outlets, creates an extra level of safety for the user. When an appliance with a connector that includes a ground pin is plugged into a properly grounded outlet, electricity flowing to the appliance has a complete path back to earth ground, giving a large additional safety margin for whomever is using the electrical device. If the cable in the appliance is damaged, then the live “hot” conductor can deliver power directly to the body or handle of the appliance. When there is no ground path back through the cable, extension cord and outlet, then the most direct path to ground becomes through whomever is using the device. This can create a potentially dangerous or even fatal problem. Any tool or appliance that has a three pin connector which includes a ground pin should only be used with a grounded-three conductor-extension cord and should only be plugged into a properly grounded outlet. Never remove the ground pin so that it can be plugged into a two conductor (non-grounded) extension cord. Even though good extension cords have rust inhibiting plating, they are still subject to oxidation and rust. When this happens, they reduce their current carrying capacity, possibly causing a fire hazard and reducing the voltage that the extension cord can deliver. When stored outside or transported, plug the male connector into the female connector to cover the conductors. Periodically plug and unplug both the male and female connectors to clean the conductors. Spray a little WD40 or other rust inhibiting spray onto the connectors to keep them oxidation free. Tying knots in an extension cord is a quick way to shorten their life. 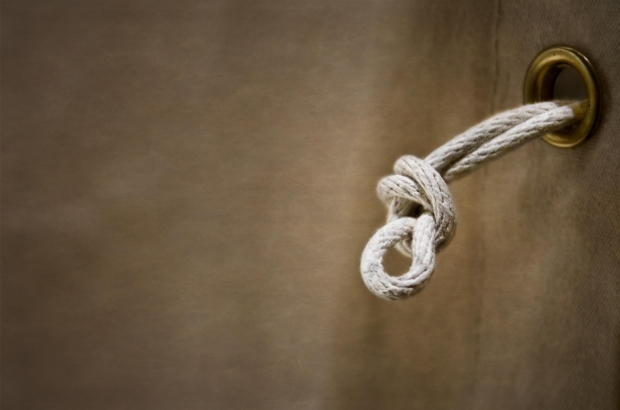 While it is tempting to tie two cords together to keep them from disconnecting or to knot one around itself to keep it from tangling while stored, this knotting causes the individual conductors to eventually break, reducing the current carrying capacity of the cable. Because the outside diameter of a knot is greater than the inside diameter, the outside conductors are stretched and the inside conductors are compressed, both actions put too much stress on small individual wires. The greater the number of conductors in an extension cord, the easier it is to coil, but greater numbers mean smaller individual diameters for each strand, making it more likely to be damaged when a knot is tied. 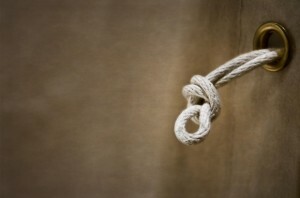 Instead of knotting, use some tie line or Velcro cord wrap. Even the best extension cords quickly become a problem to use if they are not properly coiled before storing. 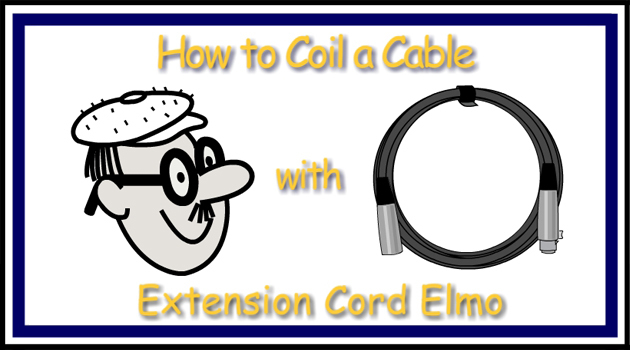 Take a look at this video that shows our favorite method for cable coiling.